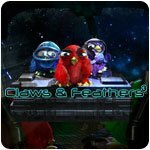 Claws & Feathers 3 Game - Download and Play Free Version! The birds and cats are back! 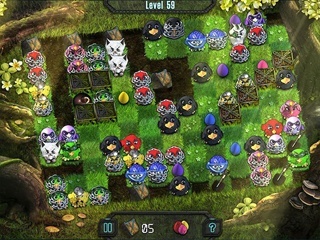 To keep the felonious felines at bay, you must solve a series of ever-toughening color matching challenges in which new obstacles appear when a match is not made. 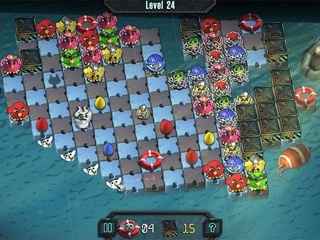 To clear each board and earn a gold star, you will have to think ahead and make clever use of several tools, including Bombs, Lightning and Whisk-X Space Food. As you progress, you'll encounter fresh obstacles and more devious opponents, including the insolent Boss Cat! Tackle dozens of levels popping with color, enjoy gameplay that's simple to learn but challenging to master and have fun saving your fine-feathered friends!